With a background in finance, marketing, and strategic business planning Dorothy came to the real estate industry in 1994. She loves the business and has enjoyed working with many clients in multiple transactions whether helping them buy their first home, their family home, their retirement home or an investment property. 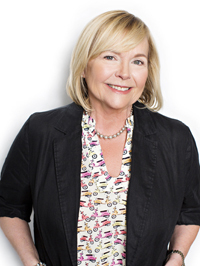 Among her previous business successes were her years as co-founder and team leader of Team DeClute, Vice President of Sandbury Homes, President of Wiltshire Canada and Director of International Marketing, for their parent company McPherson’s Inc.
With local and global business experience, Dorothy frequently works with clients relocating to and from Toronto. Also as an Accredited Senior Agent she understands the importance of and the specialized assistance needed when making life changes in preparation for and during retirement years. Dorothy is well known and highly regarded for her honest, ethical, professional and straight forward business style. She is noted for going over the top to ensure that her clients receive the very best real estate service possible. Happy to be a long time resident of the Beach, she is well versed in all aspects of this community and those of surrounding neighbourhoods too!